Add a young burst of shade for any wardrobe with this ravishing red colored tapetta silk lehenga kameez. This designer partywear attire has stitched kameez which is beautifully adorned embroidery work which makes it appear graceful. Available with lehenga made of net with cancan net inner along with chiffon dupatta with lace border. 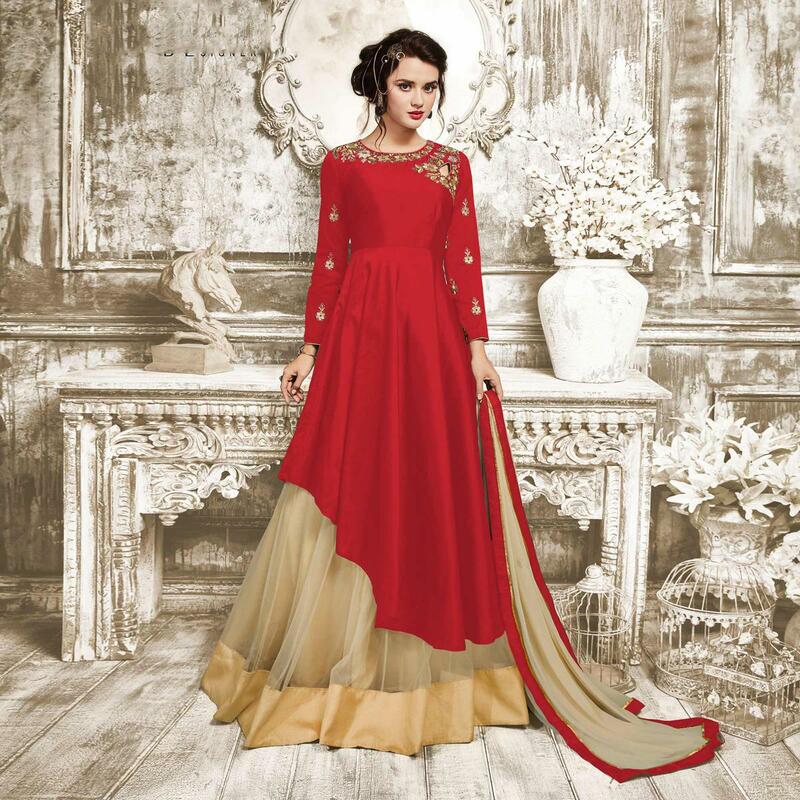 Women can buy this ethnic dress to wear for their upcoming wedding functions, receptions, engagement ceremony and family occasions, where they want to be the limelight. Team it with ethnic accessories and heels to make your looks more beautiful. Length Chest upto 40 - 42 inches and length upto 46 - 48 inches. ( Upto XL ).